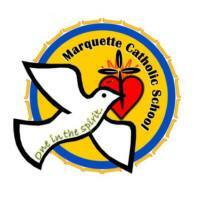 If you have been around Marquette School for a while, you know that MCS and Catholic education have been my passion for years, beginning with the enrollment our oldest child. As a parent, I volunteered for EVERYTHING-serving on the ACCE, as President of HASA, chairing fundraisers, directing plays and dinner theaters, and eventually serving as an employee, teaching Art, and at other times, technology, library, and religion. I have also served at lunch and recess duty and was even the school janitor for a number of years. But the Lord wasn’t finished with me yet. God eventually led me to return to graduate school to become a licensed teacher. 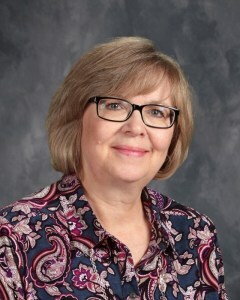 On receiving my teaching license, I joined the full time teaching staff at MCS, and shortly after, I was asked to take the position as school principal. I continued teaching part time, working as principal -- with the support of a wonderful staff - and returned to St. Scholastica, earning a Master’s Degree in Education in 2014. My husband Jon, a retired MIB school teacher, and our four children really supported my dreams along the way, and now that our kids are grown and nearly all on their own, I am able to devote most of my energies to serving the children of our MCS families and our staff as we strive together to grow our school and develop the best spiritual and academic program possible. Know that my heart and my door are always open and available to serve our Lord by serving the needs of our kids and their families.